Comment: Repaint existing cabinets . Comment: 24 x 50 foot raised Ranch with a 12 x 17 foot addition ( L ) shaped. Addition is two stories with a finished room with peaked roof on the upper level and a screened porch below. House is two stories in the back and on the garage side. One and a half stories on the other side and front. House has red cedar shingles that were last stained with Cabot's semi-solid stain in "Oak Brown". Would also like to have the wooden Gable vents on each end of the house replaced with Aluminum vents. Bethel Painting Contractors are rated 4.77 out of 5 based on 1,473 reviews of 59 pros. 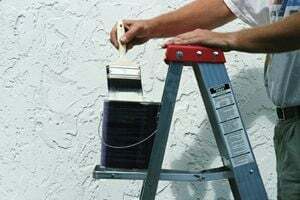 Not Looking for Painting Contractors in Bethel, CT?